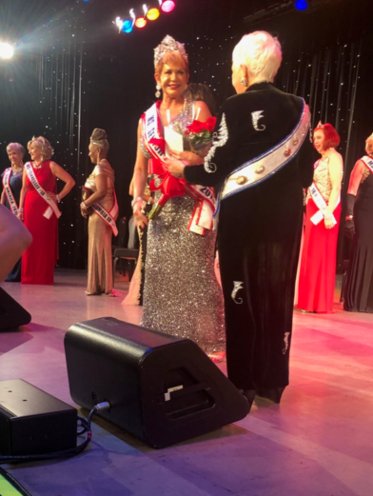 At the 2018 Ms. Colorado Senior America Pageant held on Saturday, May 26, 2018, Ms. Gayle Novak was crowned Colorado Queen. 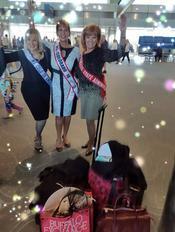 She then attended the National Ms. Senior America Pageant in Atlantic City, New Jersey, and was crowned Ms. Senior America on October 18, 2018. This is only the second time that the National title has been won by a Colorado Queen. Gayle was adopted at birth and raised on a small farm, attended high school and college, all in Colorado. Married to her best friend, restauranteur Ed Novak, they have 6 children and 13 grandchildren. After owning her own restaurant, The Summit Steakhouse in Aurora, Gayle is currently a working partner at Zane's Italian Bistro in the DTC area, with her husband Ed and son Zane. She says this is truly a family endeavor. Gayle has a true love for humanity and culture. She has raised millions of dollars for local charities. She has chaired "Saturday Night Alive" for the Denver Center for the Performing Arts and the "Western Fantasy" Gala for Volunteers of America. Gayle has steered events for Cancer League of Colorado, the Multiple Sclerosis Foundation and many more. Her philanthropic heart has allowed her to work with performing artists such as Frankie Valli, Wynonna Judd, Donny Osmond, and Tom Jones. She says life after 60 is a fresh canvas. It’s been a time of reinvention, with new roles and responsibilities. Engaging in activities that have allowed her to make new friends with like-minded people. Life has been fulfilling, rewarding and, quite frankly . . . a BLAST! In her spare time, Gayle enjoys traveling, attending the theater, and planning family events. Gayle is looking forward to her upcoming year as a representative of the State of Colorado, the United States of America, and all senior women everywhere.